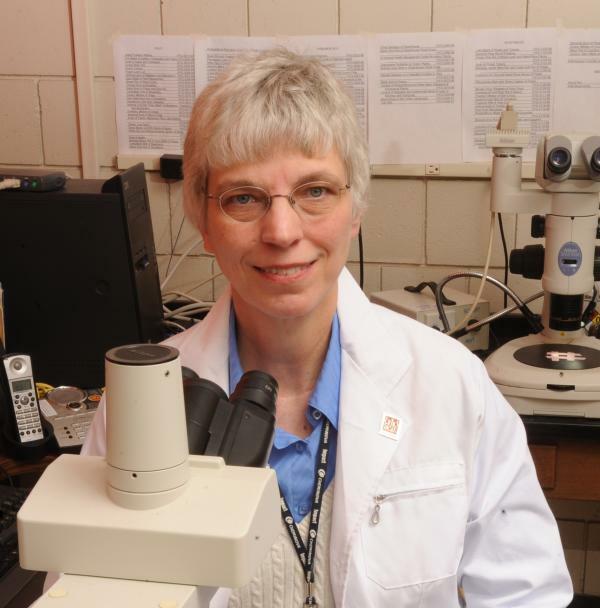 Nancy J. Taylor is the Director of the C. Wayne Ellett Plant and Pest Diagnostic Clinic at The Ohio State University. Her responsibilities include the diagnosis of plant diseases and overall management of the Clinic. Nancy Taylor earned her B.S. degree in Plant Science at West Virginia University and her M.S. in Plant Protection from Virginia Polytechnic Institute and State University. She worked as a plant pathologist for the West Virginia Department of Agriculture from 1974 to 1976 and as the Pesticide Impact Assessment Coordinator at the University of Tennessee from 1976 until 1986. She joined Ohio State in 1986.